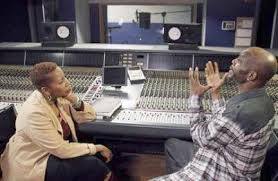 The second season of Iyanla Vanzant’s show “Iyanla, Fix My Life” featured rapper DMX (a.k.a. Earl Simmons). One of the best in the game, his admitted drug abuse has sent him down a trail of arrest and misfortune. Very candid about the pain, he is comfortable staying close to it. In fact, he was more than real with the fact that his drug use will continue, regardless of what family and friends say; or do. So in a nutshell, why are we tripping? I don’t say that to minimize his pain. I don’t say that to disregard the ravages of addiction. I say that because contrary to our belief, he made it clear, “This is who I am; now leave me the ____ alone! !” Yes it sounds irrational. Yes it sounds crazy. Yes he jeopardizing his life. But, it’s as he says…his life. So with that, pray. Pray that his soul will be healed from childhood pain. Pray that his wounds will be healed from constant reopening: be it from concerned persons who lack the realization that their efforts are enabling – to those who are becoming increasingly codependent on his behalf. Rest assure, an outcome will be revealed; good or bad – it is all his. Be well my brother…be well.